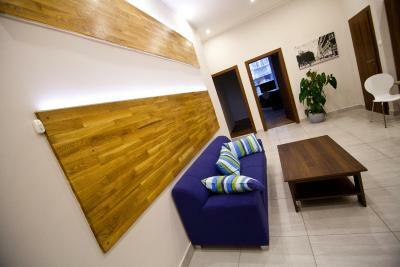 Lock in a great price for Hotel SasOne – rated 8.6 by recent guests! Location was excellent. Hotel offers great value for money. 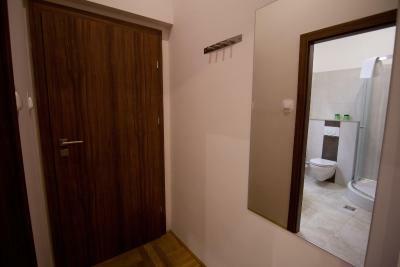 Amazing location, very good value for money, close to the centre and metro station, breakfast included. 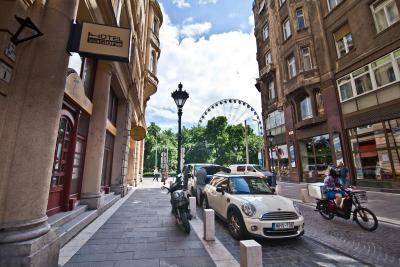 The location was perfect for walking around and enjoying Budapest. The buffet breakfast was varied and delicious. Antonia was a fabulous help to us from pre-check in to check out. She helped us with directions, places to eat and reservations, scheduling our airport taxi, and more! The location of this hotel is wonderful! This was a dream hotel room. Everything was perfect. View our the massive windows was great. The lady at the reception is warmhearted and helpful. She helped me to work out the train tickets even it took her not a little time. Thanks a lot! Great hotel. 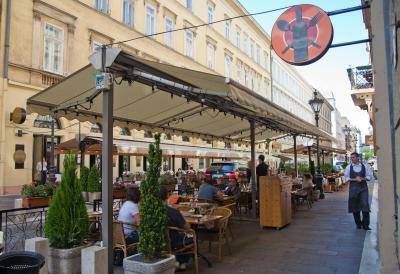 It is located in the heart of Budapest. Room was big and clean. Great Wi-Fi connection. We arrived and lived on 100E bus. Bus stop close to hotel. Hotel SasOne This rating is a reflection of how the property compares to the industry standard when it comes to price, facilities and services available. It's based on a self-evaluation by the property. Use this rating to help choose your stay! 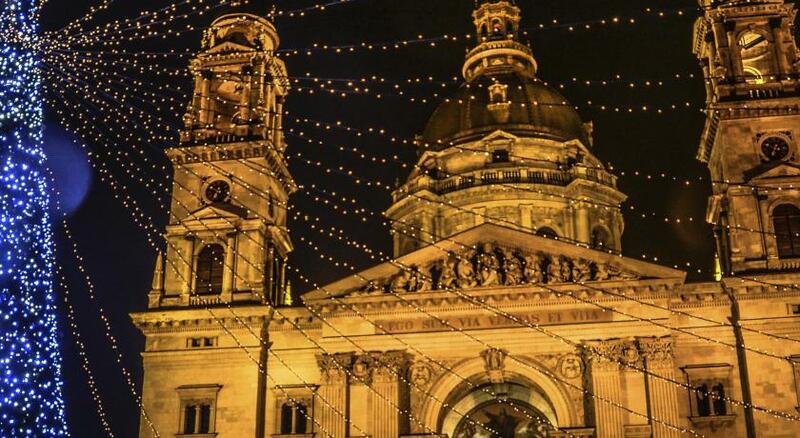 One of our top picks in Budapest.Located on the first floor of a historical building in Budapest city and with the St. Stephen's Basilica reachable within 656 feet, Hotel SasOne offers accommodations in allergy-free rooms, a 24-hour front desk, a tour desk, free WiFi available in all areas and a shared lounge available for all guests. 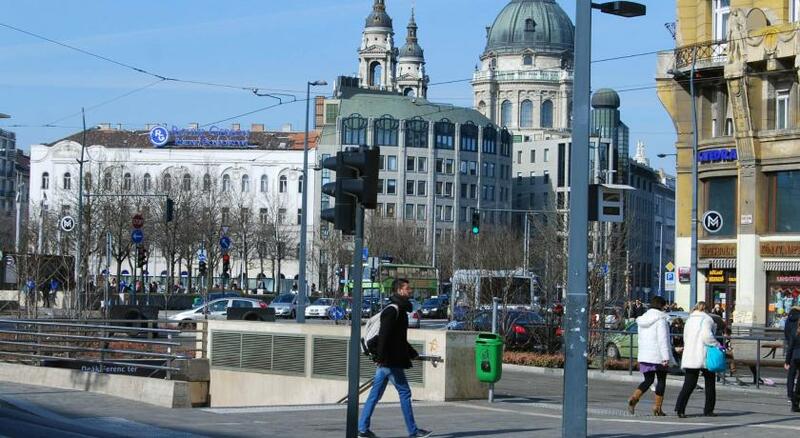 The Deák Square public transport hub is located 1,000 feet away. Each room at SasOne Hotel is air-conditioned and it comes with a flat-screen TV with cable and satellite channels, a wardrobe, ironing facilities and a private bathroom with a shower and free toiletries. 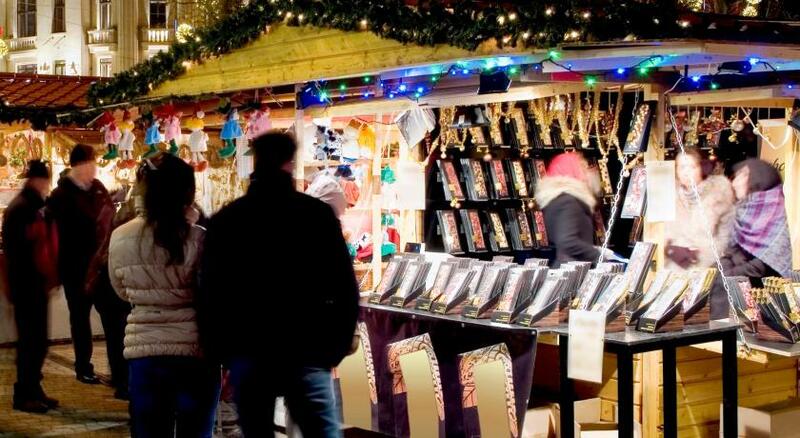 Many restaurants and bars can be reached within 350 feet from the hotel. 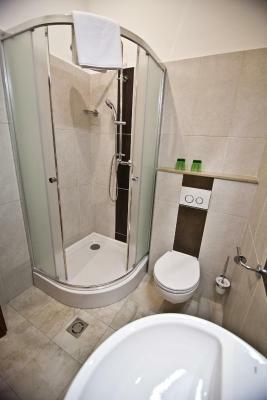 Other facilities offered at the property include luggage storage, a safety deposit box and a daily maid service. Shuttle services are offered for an extra charge. 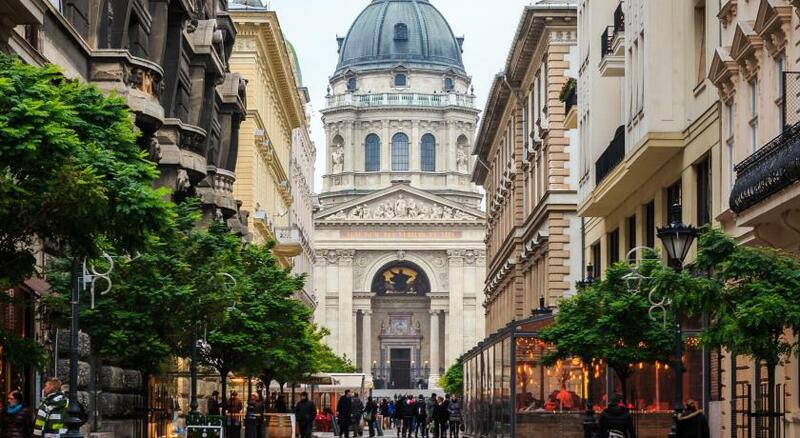 The Danube River is located 1,650 feet away and the State Opera House or Chain Bridge can be found in a radius of 1,950 feet. 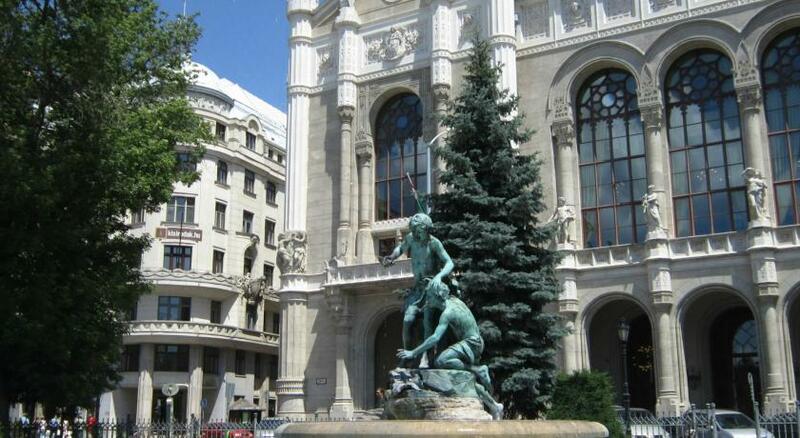 The Buda castle is set 0.7 mi away and Budapest Liszt Ferenc Airport is reachable within 11 mi. Private parking is possible nearby. 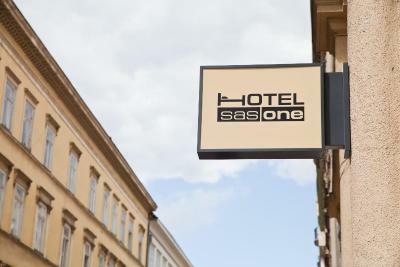 When would you like to stay at Hotel SasOne? 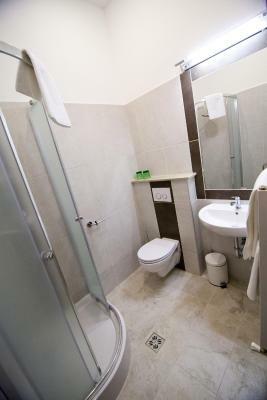 This air-conditioned room comes with a view, a flat-screen TV with cable and satellite channels, a wardrobe, ironing facilities and a private bathroom with a shower and free toiletries. Please note that one extra bed is available in this room type upon request and at a surcharge. 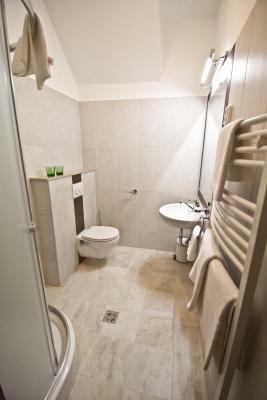 This air-conditioned family room comes with a flat-screen TV with cable and satellite channels, a wardrobe, ironing facilities and a private bathroom with a shower and free toiletries. 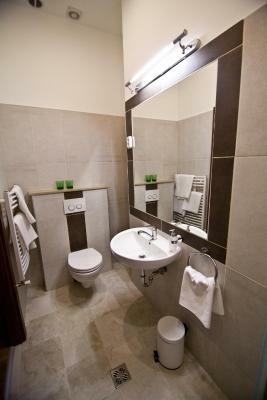 This air-conditioned room comes with a flat-screen TV with cable and satellite channels, a wardrobe, ironing facilities and a private bathroom with a shower and free toiletries. 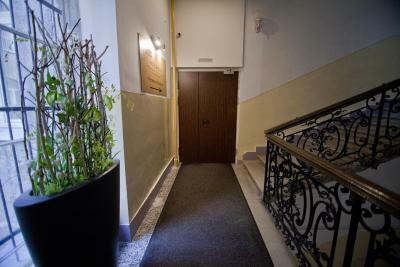 Opened in 2015, our 16 room friendly atmospheric hotel, is located in the heart of the city, on the first floor of a house under monumental protection. 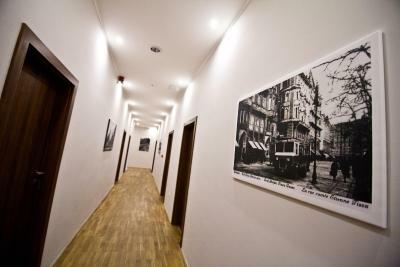 Our hotel is ideal for the adventurer who would like to explore the city or indeed for business travelers as well. We cater for all types of travelers young & old. 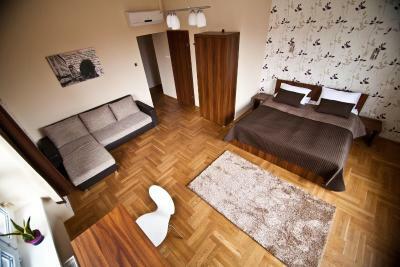 Superbly located downtown with easy access offering numerous possibilities to explore the 'Pearl of the Danube' Budapest. The inner city can be accessed from our hotel by public transport or by foot. House Rules Hotel SasOne takes special requests – add in the next step! One child from 4 to 12 years is charged EUR 7 per person per night when using existing beds. 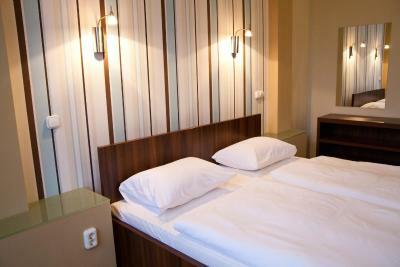 One child from 13 to 18 years is charged EUR 15 per person per night when using existing beds. Hotel SasOne accepts these cards and reserves the right to temporarily hold an amount prior to arrival. Please note that parking is not possible on site. Please inform Hotel SasOne of your expected arrival time in advance. You can use the Special Requests box when booking, or contact the property directly using the contact details in your confirmation. Receptionists were very rude and unpleasant. 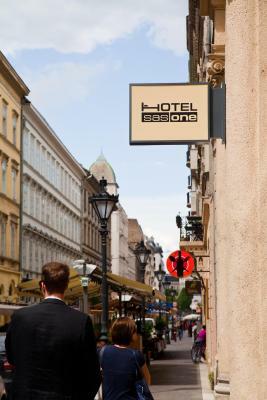 Rules of the ho(s)tel are unclear and provided only in Hungarian language. Reception desk isn't 24/7 and it is actually several combined apartments, not a hotel. When we came back to the hotel in the evening around 10pm receptionist shouted on us that we should inform staff every time we leave and that it is too late hour. He was really rude. Although, same day in the morning lady at the reception desk told us that reception is 24/7 and we don't need to inform staff before leaving, only for check out. Beds are not so comfortable. Everything else. 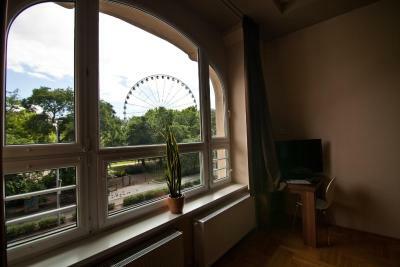 Great location, right near the giant wheel, 2 minuts walk from the center. The hotel is very clean, designed with good tast, large rooms, quiet, the hosts were very nice and helpful, especially Gregory. The breakfast is perfect. highly recommended. The smell in the area where my room was placed, very unpleasant. The room it was very very modest. The situation. Perfect area. Near all the most important places to visit. The breakfast is great. Peaceful room..
A room was a little bit noisy and not so clean. Unfortunately there was only one flat pillow. Location, breakfast and comfortable beds. Fab little hotel. Good location, lovely staff. Very helpful. Will definitely be back. The color of the walls ? 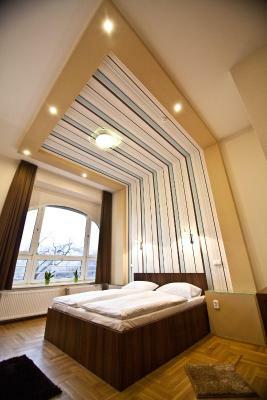 Wonderful location, in the very center of Budapest, but the rooms are quiet. Large rooms, very clean. Good and hearty breakfast. Really, a great value ! It's really has a good location. You can walk everywhere where you want. However, the hotel still calm and quiet. 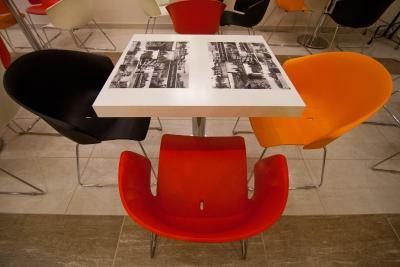 Of you love to 60's style building this hotel is right choice. 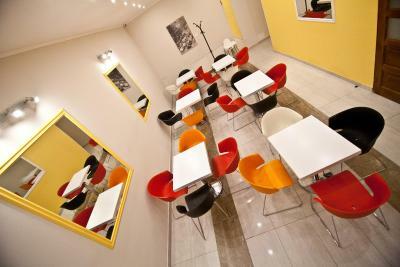 Rooms are confortable, breakfast is extremly good. The breakfast, I choose this hotel for the location, but also I was expecting to have a nice breakfast, but I was really desappointed, the only thing I enjoyed was the gluten free bread and the soya milk with a little bit of cereals, the hotel was good in that point to provide me the soya milk and the bread. The breakfast doesn't have anything fresh, no fresh fruit, the English breakfast was really bad quality, there was just a table with food in a small room, whit not so many options to choose, cooking smell and no ventilation. 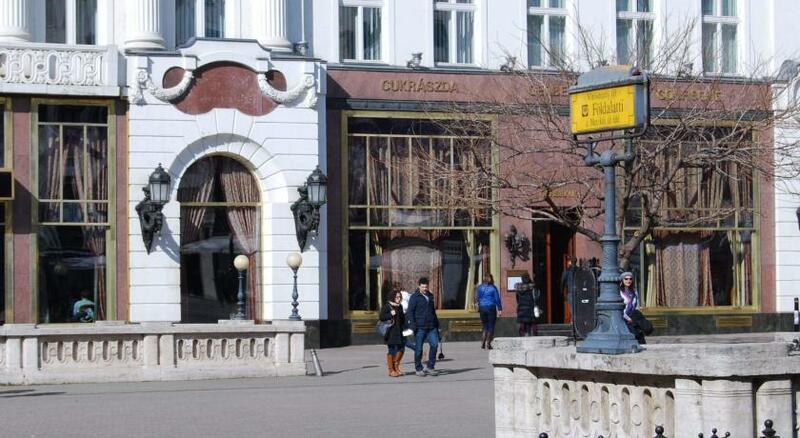 If you're gonna choose this hotel for the location, i suggest to not take the breakfast in the hotel, because it's possible to get a better and cheaper breakfast in the locals around. I really liked the room, the view was amazing! The room was too much warm but was confy. NO PARKING AVAILABLE! I booked this hotel with parking (it was the main option for me), but when I come to the hotel it turned that there is no hotel parking - but only public parking outside which was occupied by local residents. I paid 25 EUR for underground parking nearby. excellent location, friendly stuff, beds a bit too hard for me but other people might like it. Excellent value for money! Fabulous staff who are so friendly and helpful. Nice room with large comfy bed and lovely view. Great location, quiet and a good breakfast.